The Handgun Orientation course is specifically tailored towards individuals who are considering a career pathway into the demanding and specialised sections of the workforce; whether it is your desire to enter into the Military, Law Enforcement or Armed Security (Cash in Transit) service, this course is your first step in the right direction. The course goal is to deliver a high level instruction on the basics of Knowledge, Skills and Attitude necessary for any individual considering a career in Law Enforcement or owning their own handgun for sports shooting. However, you may simply desire to overcome your fear of guns. This course also suits those individuals who require a more tailored instruction of personal development and at the end of the course you will gain the knowledge, skill and attitude that will shift your belief that guns are something to be afraid of. This could not be further from the truth, the handgun is no more dangerous than the motor vehicle you drive to work every day. The course is designed to run over 2-days and course participants will gain knowledge on all the necessary safety aspects of handling, inspection and serviceability of the handgun, the use of the handgun, the relevant legislation relating to firearms in general and the basics on Firearm Safety. We generally run this course every Wednesday and Thursday. Course participants will then partake in a practical qualification shoot at the firing range, where there will be a Senior RAY MANCINI ACADEMY Firearms Instructor and Range Safety Officer to put you through your paces, which is designed to ultimately entrench the knowledge learnt earlier in the day. Here you will re-enforce the dry practice skills learnt at the Academy thus developing the right attitude to become a smarter, safer and more confident handgun owner and or shooter. Components and operation of modern pistols. Applicable laws relating to firearm categories and to the licensing requirements, interstate travel and transportation, and storage of firearms. Administrative loading and unloading of semi-automatic pistols. 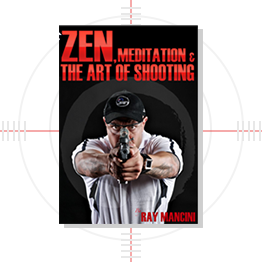 The fundamental of marksmanship and basic shooting techniques. Live fire drills on an approved shooting range. Minimum of 100 rounds required to complete the course and can be purchased from RAY MANCINI ACADEMY at $40 per 100 rounds. You are required to wear tactical pants or good comfortable pants with belt loops; you must bring a strong belt suitable for wearing holsters and mag pouches. Closed shoes or boots (footwear must be suitable for rapid movement and turning). Sunscreen, insect repellent, hydration system or water and baseball type cap. It is highly recommended that you bring all of the above to the course; instructors have the right to refuse students from attending the training if they turn up unprepared or not wearing appropriate clothing. PLEASE watch the video below. After successful completion of the Handgun Orientation Course – Students then have the option to progress their study and complete a (CPP30411) Certificate III in Security Operation. Please see Certificate III link for further information relating to the course. 2-days (5 to 7 hours per day). An upfront enrolment fee of $490 is also accepted. A minimum of 100 rounds of 9mm ammunitions required and the cost for 100 rounds is $50. In health and safety, our record currently sets standard for the industry (zero Injury/accidents Statistics in over 17 years we have been in business). This requires constant effort in all aspects of risk management, process control, training and communication. Our responsibility is to exercise safety leadership and maintain a safety conscious working environment at every level of our operation. We are dedicated to making this attitude part of our culture and everyday activities. Our policy of having a workplace free from alcohol or drugs is part of our commitment to building a safer network for our customers and staff. All employees – including front-line staff, those in safety-critical roles, firearms division, administrative staff and senior management – are subject to random testing at any time while they are reporting to work or undertaking work.